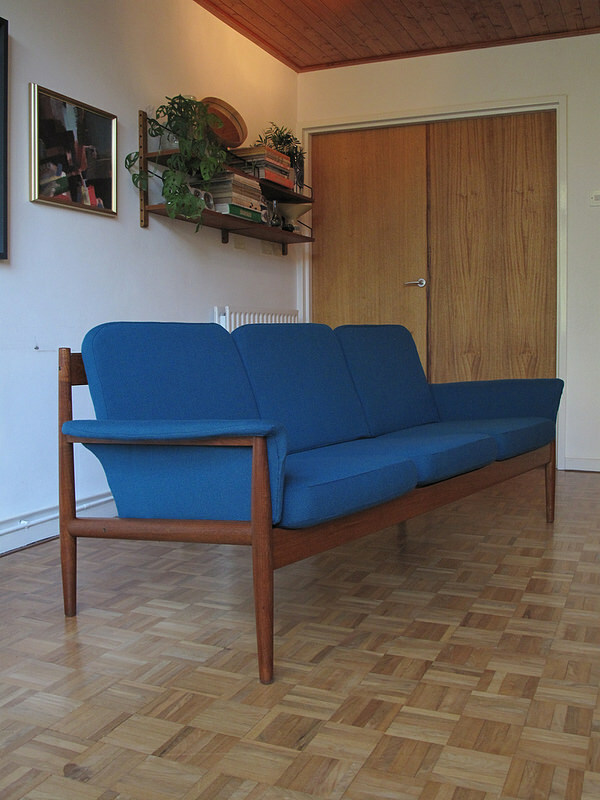 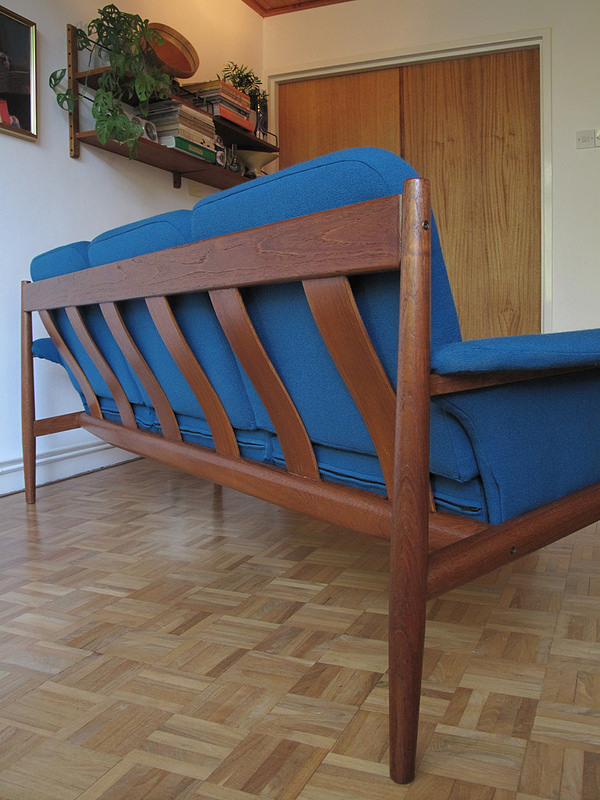 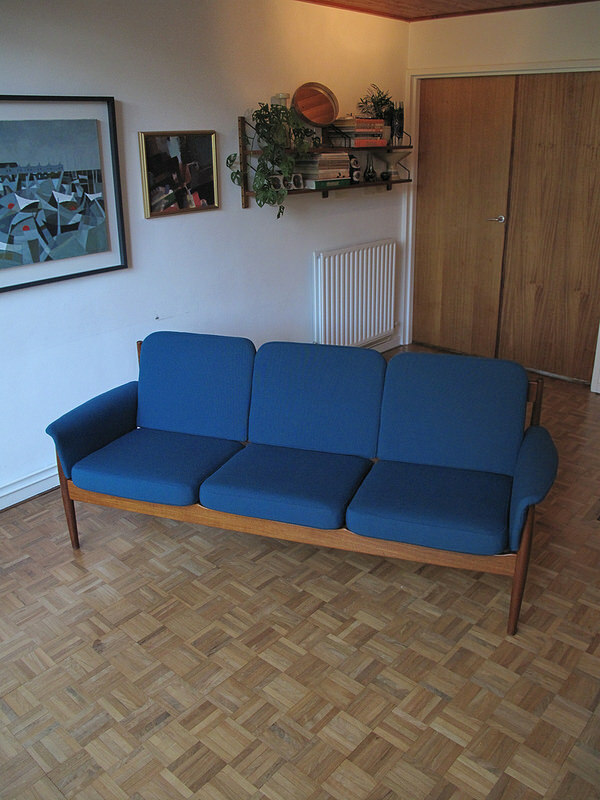 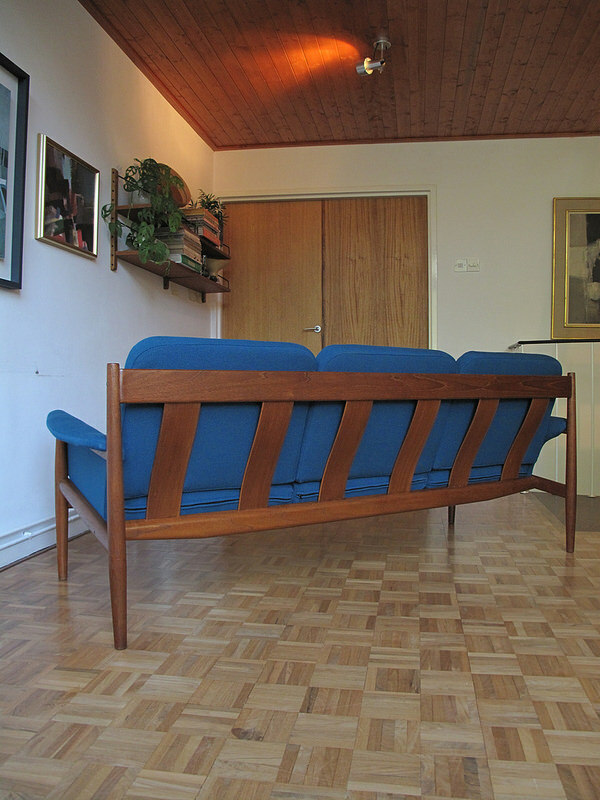 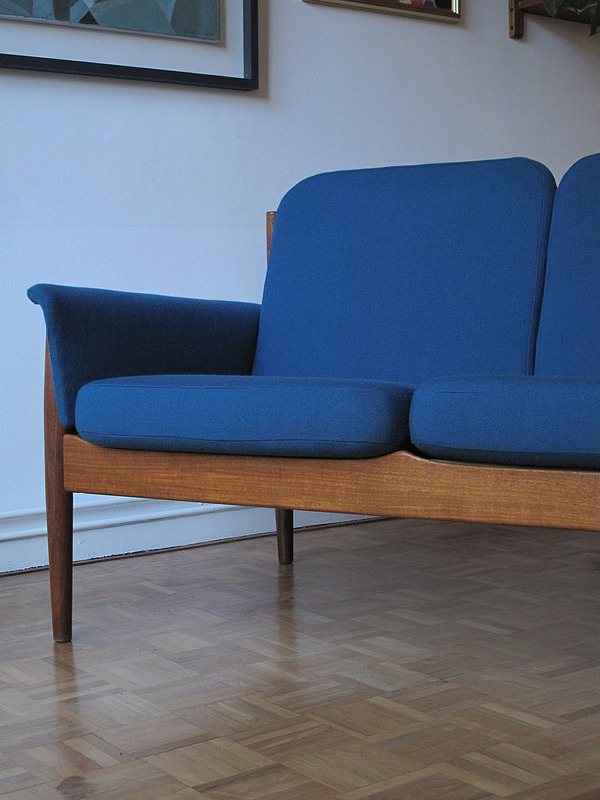 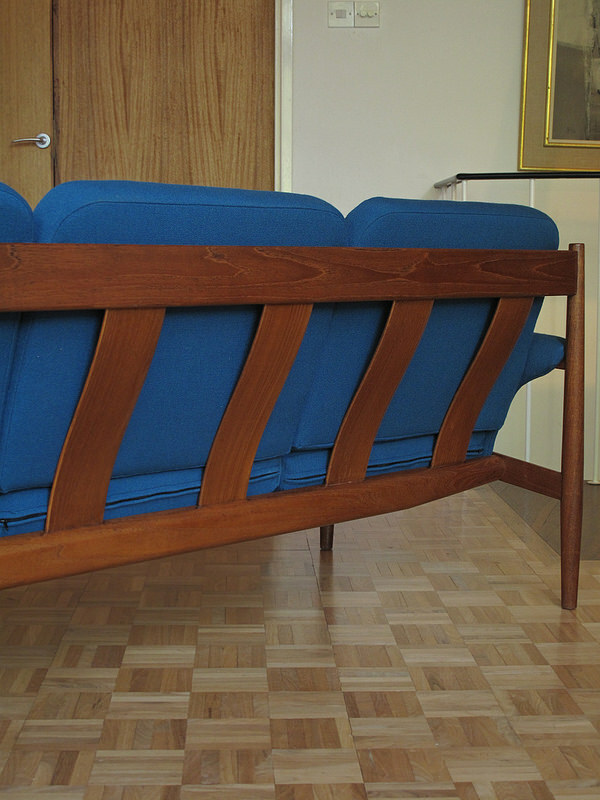 Extremely handsome and very seldom seen Model 168/3 sofa Designed by the boss of France & Son, Charles ‘Fearnley’ France in 1962. 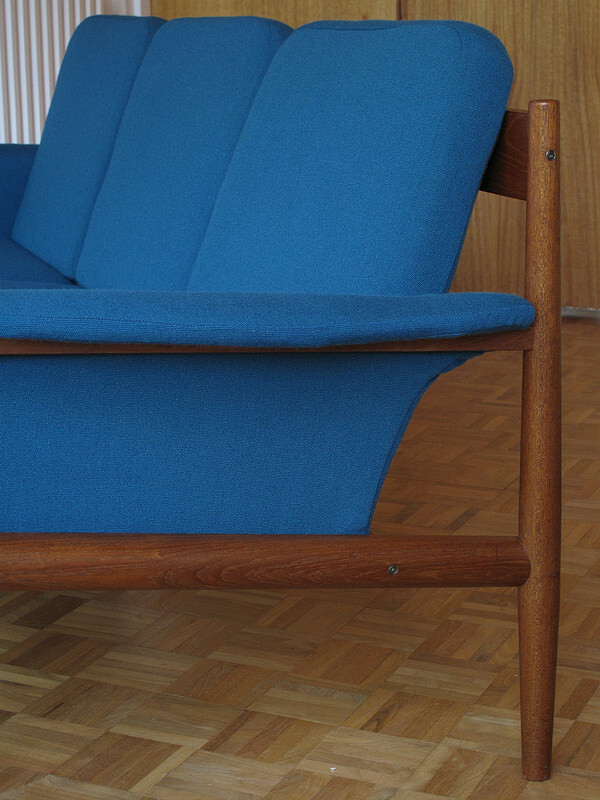 The design is based almost entirely on a previous Grete Jalk design for France & Son with the addition of some upholstered armrests. 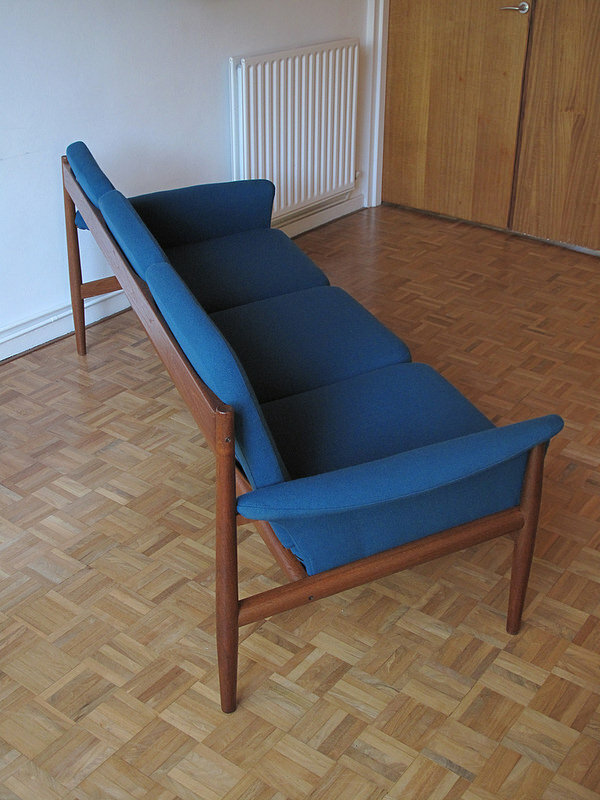 These additions make it an even more attractive design in our opinion and won Charles France a design award for his efforts. 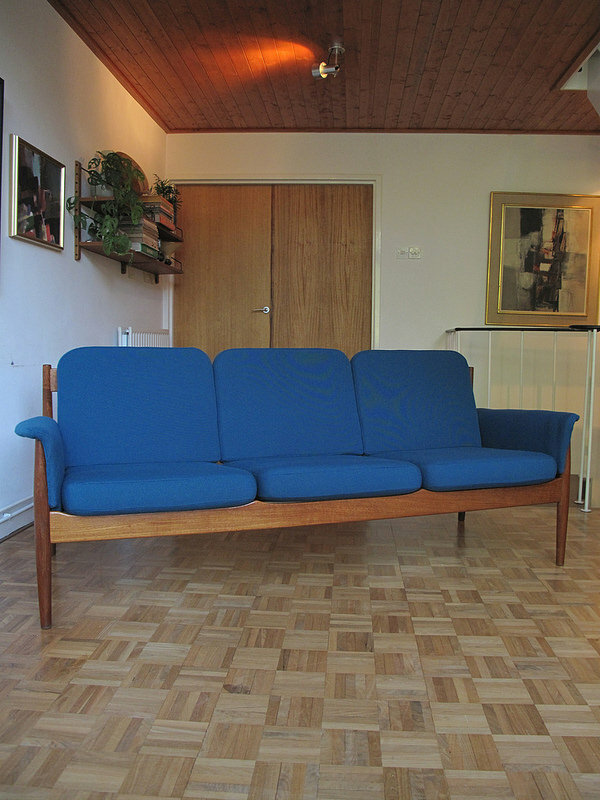 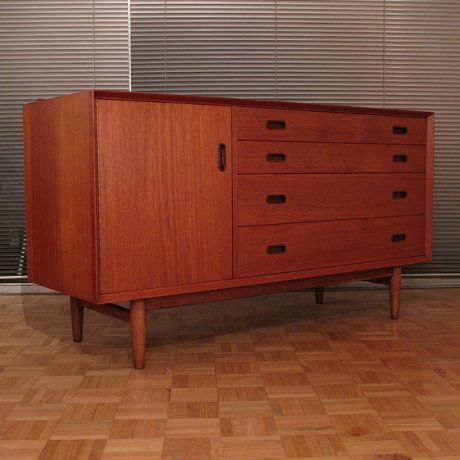 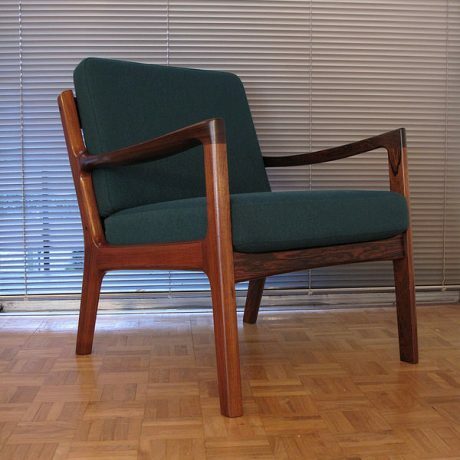 Produced from solid teak with original foam seat cushions and new foam back cushions. 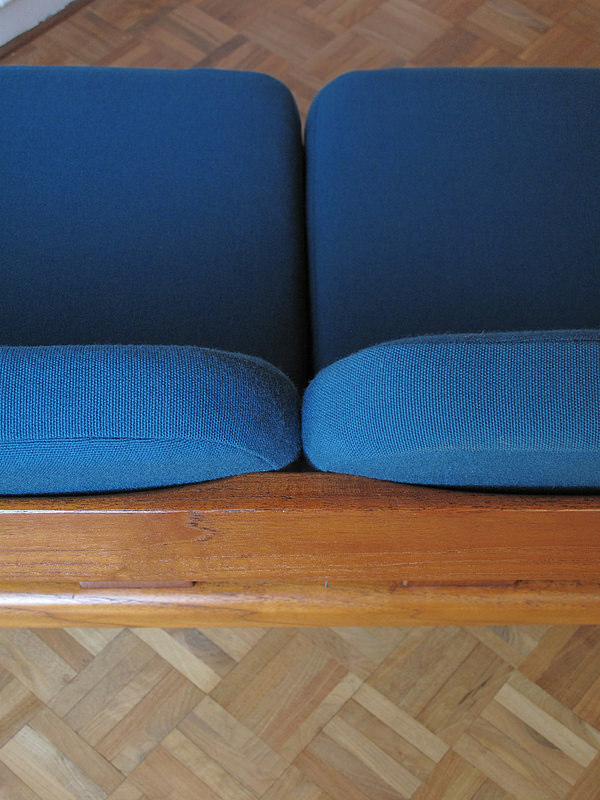 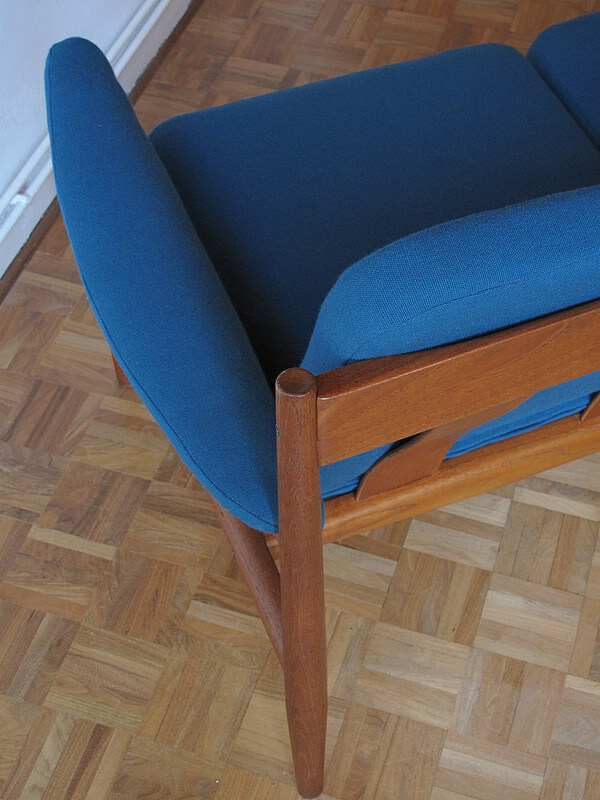 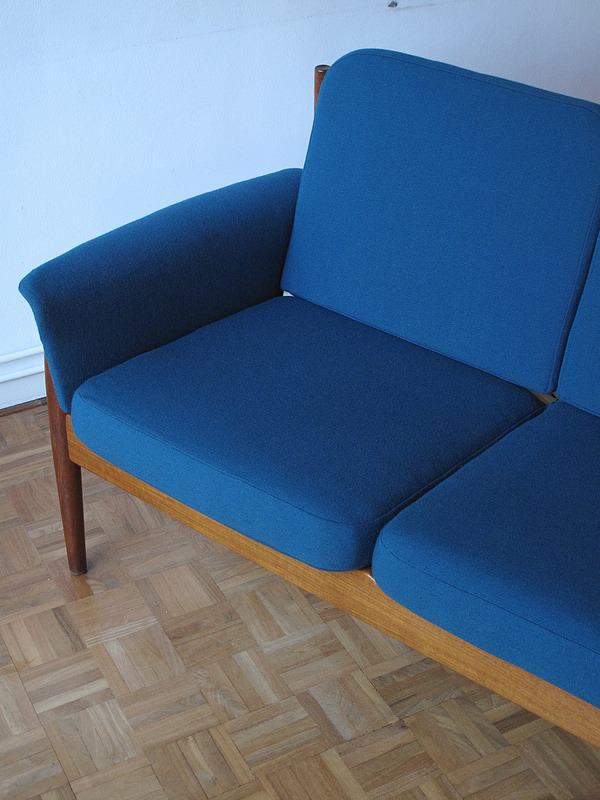 We have upholstered in a wonderful Blue wool from Bute fabrics, this colour is very very close to an original colour offered by France & Son at the time and it compliments the teak frame perfectly.